What is the best way to restore the tooth shown in the picture on the right? When your dentist is looking at this picture, there are several factors to consider before coming to a decision: size & location of the defect, strength & stress requirement, and aesthetics. There is a spectrum of materials and techniques to restore teeth depending on the size and location of the particular defect. 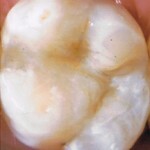 Composite resin and crowns represent well known restorative solutions to small and large defects, respectively. What about those teeth, like the picture above, with medium size defects? Composite resin material does not have enough strength in this situation. A full coverage crown certainly offers the maximum protection for the tooth from further breakdown; but, at the cost of grinding down healthy tooth structure. Tooth structure is precious. There is no substitute material that comes close to mimic all of its characteristics. Such is the nature of the challenge that each dentist faces in trying to balance between restoration strength requirement and preservation of healthy tooth structure. For those medium size defects, there is an entire class of restoration which strikes a good balance between the strength requirement and preservation of healthy tooth structure. This class of restoration is called inlay. The idea is fairly simple. After removing the decay, the area is conservatively trimmed to have straight margins. An impression of the tooth is taken for the lab. The lab, using either porcelain or gold, will make a restoration that can be inserted and bonded to the tooth, like a piece of jig saw puzzle. Strength: Since the majority of the healthy structure is not lost in the process, the integrity of the tooth is preserved. Additionally, the combination of stronger material and bonding procedure makes the restoration much more resistance to wear and tear from the daily usage. 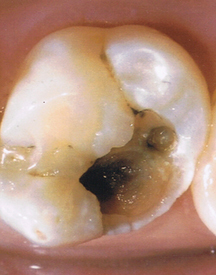 around the margin, it is often a simple task of removing decay and filling in with composite material. As opposed to a full coverage crown, the crown would have to be removed in order to remove the decay underneath, then a new crown would need to be made, which is much more expensive. 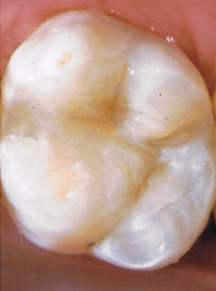 Preserve the option: If the tooth has further breakdown in the future, it still has the option for full coverage crown since most of the healthy structure has been saved. Inlay restoration is not a new idea. It has been under utilized in the recent years. It is a technique sensitive procedure. To be successful with this restoration, a dentist must be meticulous with every step. With the evolution of the new bonding technology, the success rate is on an increase trend. Another reason why inlay is under utilized is insurance compensation. Very rarely insurance would pay in full for such procedure. 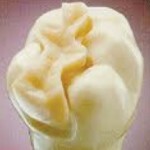 Consequently dentists shy away from recommending inlay and patients are less inclined to accept this type of treatment. Here lies the folly of the insurance system: Insurance would not pay for a less invasive procedure that is going to preserve your healthy tooth structure; and, yet, they would pay to have healthy tooth ground away to fit for a crown. Does your insurance company really care about your teeth? Our average life span is getting longer. We are going to need our teeth for that much longer. 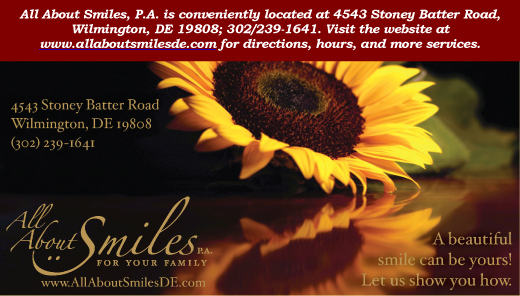 Nothing can substitute our teeth completely. Don’t lose healthy tooth structure unnecessarily. Bank the tooth structure for the future.